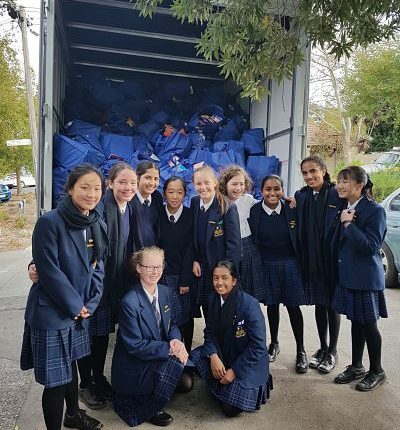 On Monday 7 May, Camcare received around 1,100 large shopping bags filled with approximately 15,000 dry and non-perishable food items, conservatively valued in excess of $40,000. The delivery was entirely thanks to the “HOPE FOR BOROONDARA AND BEYOND” initiative organised by St Hilary’s Church in Kew. 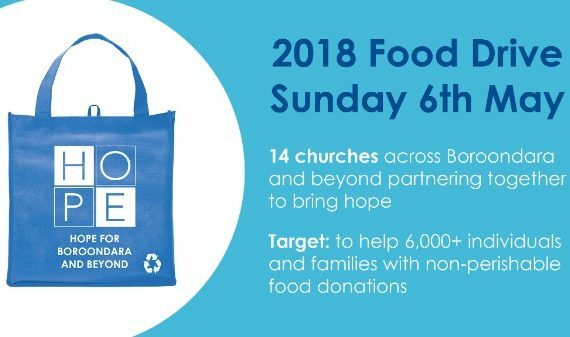 This involved fourteen churches based throughout Boroondara who arranged for volunteers to collect food donations from homes in their areas by means of a bag drop and collection process. The response from the public was amazing with donations up by over 45% on last year. 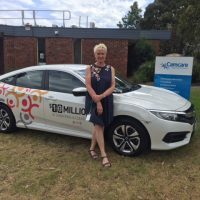 This is the fourth year that Camcare has benefitted from this initiative and the food will be used as a major component of its Emergency Relief program which is provided to people on low incomes in the City of Boroondara who are facing emergency food needs. 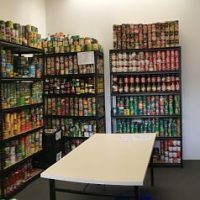 This delivery of food from the Boroondara churches is therefore extremely valuable and welcome as it means that Camcare can continue to provide more food parcels to its clients. The logistics of receiving, sorting and stacking the contents of the 1,100 bags were both formidable and challenging. However, thanks to the very generous help of students from Presbyterian Ladies College and Trinity Grammar School, together with more help from other Camcare volunteers and staff, the task has been completed and the food is already being distributed to clients. Tuna, baked beans, soup, spaghetti, chickpeas and vegemite are some of the items donated. 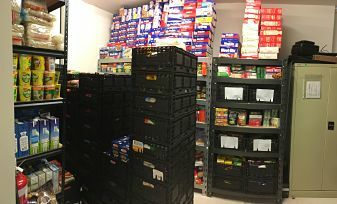 Bursting at the seams, Camcare’s computer room now used predominately to store food! 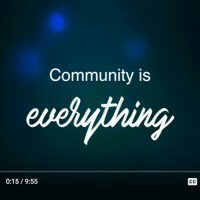 This video by ‘Harambee All Together’ ( a non-profit organisation run by students from Trinity, working to generate change in a local, national and international scale) shows the students hard at work sorting the donations. 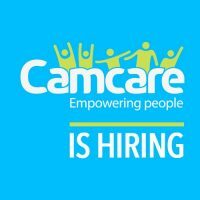 Camcare appreciates their efforts and from the laughter coming from the room during the day, it appears the students enjoyed themselves while they worked!